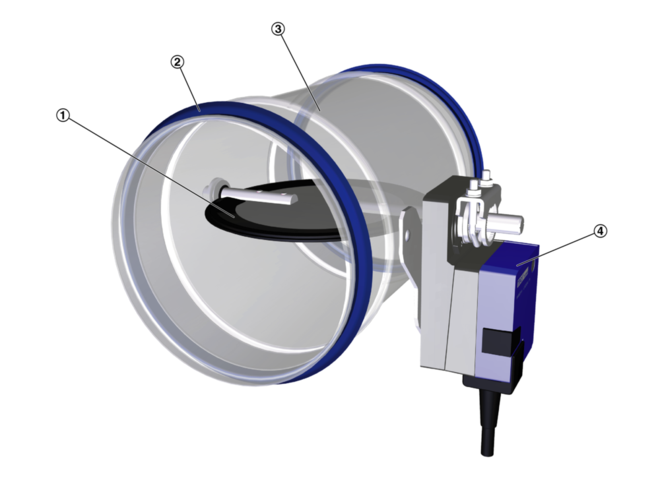 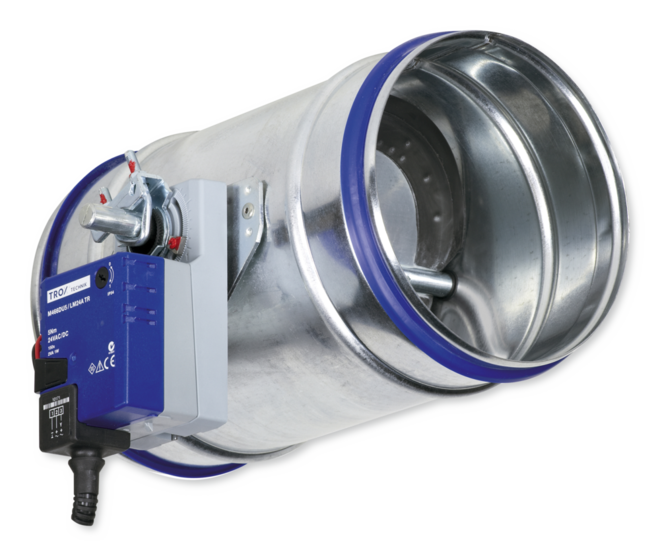 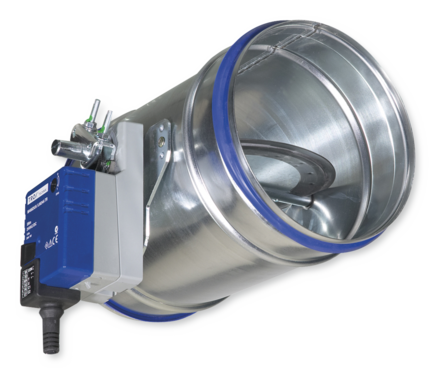 Suitable for duct pressures up to 1500 Pa.
Ready-to-install unit consists of the casing with a damper blade. 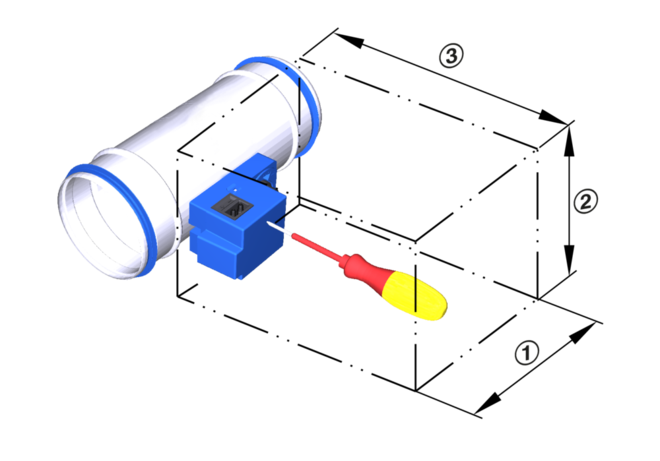 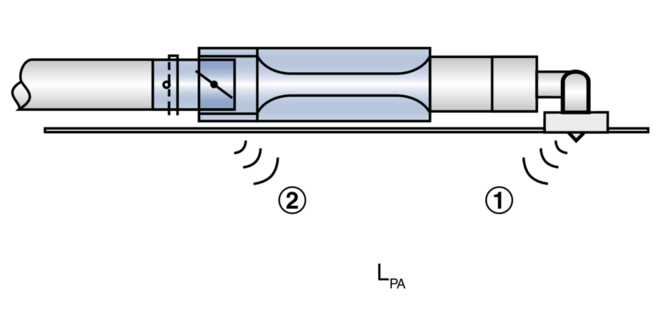 Position of the damper blade indicated externally at the shaft extension. 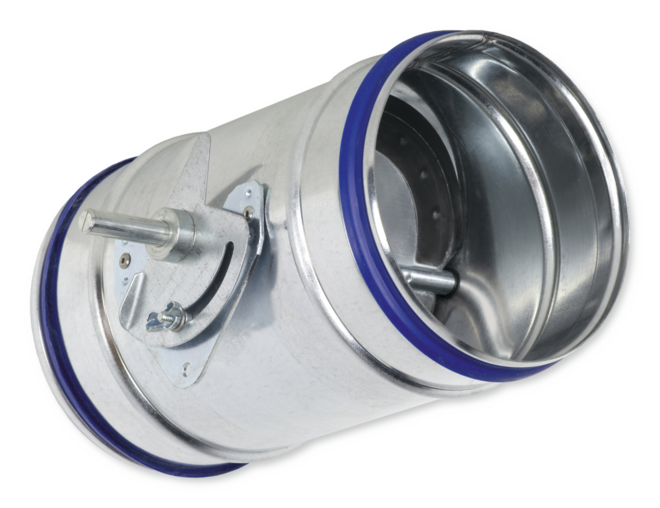 Closed blade air leakage to EN 1751, class 4 (nominal sizes 100, 125 and 160, class 3).